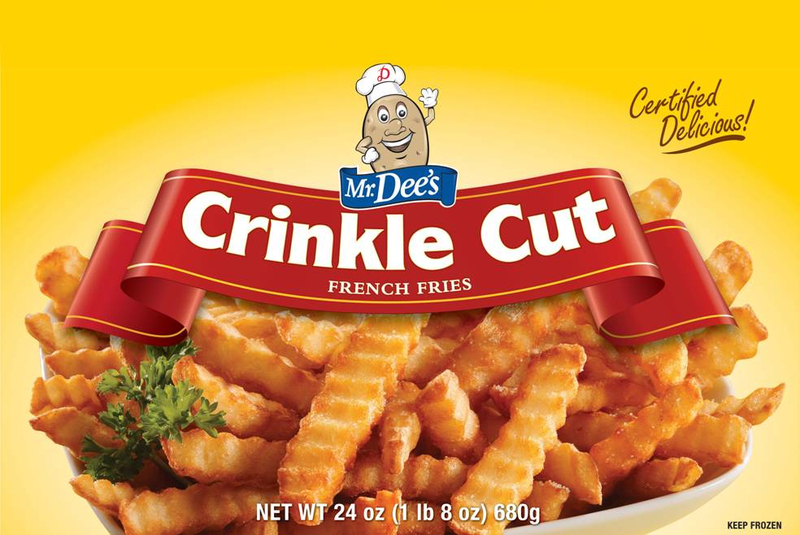 Made from only 100% Grade A premium potatoes, Mr. Dee's Crinkle Cut Fries are golden, crispy classics. Our restaurant formula bakes the outside to a crispy flavor and leaves the center light and fluffy. POTATOES, SOYBEAN AND/OR CANOLA OIL, CARAMEL COLOUR, ANNATTO, SODIUM PHOSPHATE.